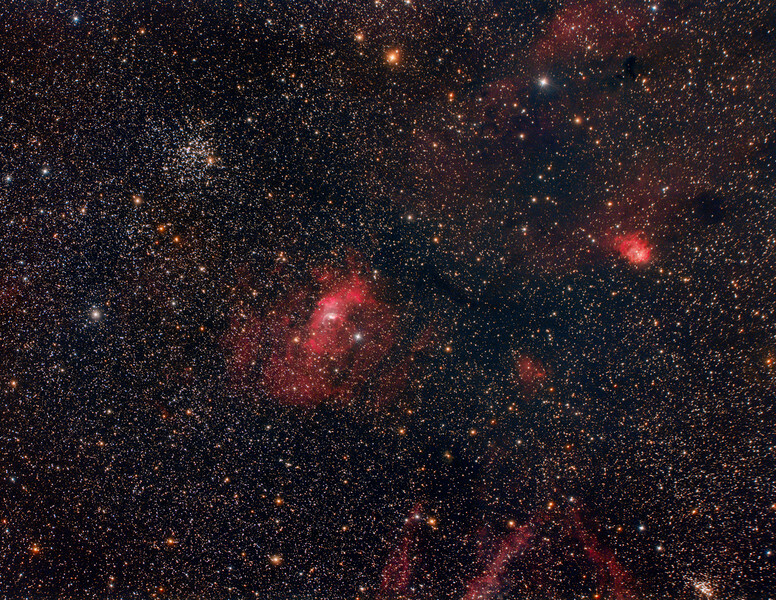 Top left is M52 an Open Cluster, middle is the Bubble Nebula, bottom right is Open Cluster NGC7510, 3 0'clock is emission nebula NGC7538. Taken with TS130 scope at f5.6 and Canon 6d modified 19x10minutes 3200 ISO. Imaged by Lynn Hilborn,WhistleStop Observatory, Grafton, Ontario on August 29,2016.